After campus officials at Texas Southern University halted his planned speech Monday, state Rep. Briscoe Cain said later that evening that he would be "very open to revisiting the issue" of returning to campus to speak. After campus officials at Texas Southern University halted his planned speech Monday, state Rep. Briscoe Cain said later that evening that he would be "very open to revisiting the issue" of returning to campus to speak at the historically black university. The Federalist Society, a conservative student group, had invited the Deer Park Republican to speak, but when he arrived at the university's Thurgood Marshall School of Law, a group of protesters began demonstrating. University administrators told the Dallas Morning News they halted Cain's speech because it was an "unapproved event," with university president Austin Lane telling the crowd that the lawmaker's appearance would "stall out" until the Federalist Society went through proper channels with the administration, per footage posted to Twitter by KHOU reporter Janelle Bludau. "I think the protesters got their way with the administration," Cain told the Tribune Monday evening. Earlier Monday, he put out a statement blaming Black Lives Matter protesters who “came in and bullied the administration into ending” his speech. Cain wasn't the only state lawmaker on Texas Southern's campus Monday. 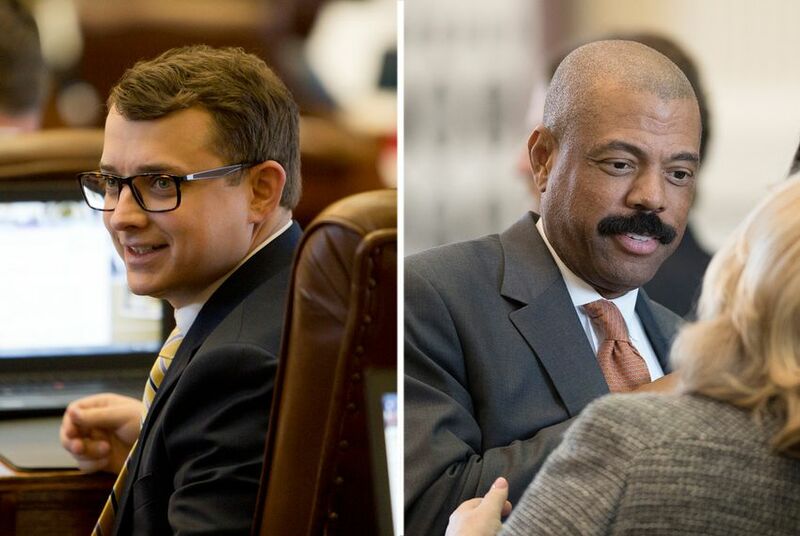 State Sen. Borris Miles, D-Houston, said he was meeting with Lane when the protest began and that they both went to the protest site to address the situation. Miles said students there were "in an uproar." "The fault is not on Briscoe Cain" for the incident, Miles said. "Briscoe Cain did nothing wrong."